A graduate of Penn Hills High School, Jim starred in football as the quarterback in 1963 and 1964. He went on to Clarion University of Pennsylvania and in 1966 led them to their first Pennsylvania State Athletic Conference Championship with a 10-0 record. He also led them to a Western Division Title in 1967, losing in the Championship game. He passed for 1,925 yards and 26 touchdowns in 1966, the latter still second all time at Clarion.His two-year record of 274 completions in 480 attempts (57.1 %) still tops the Clarion record books. His two years as a starter garnered him Team MVP honors each year, as well as, All-Conference, All-East, and Little All-American Honors. 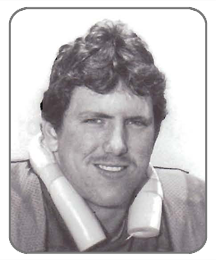 Jim was drafted in the 11 th round by the Cleveland Browns and finished his football career with a three year stint with the Ohio Valley Ironmen. 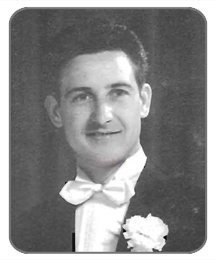 John was an All-City performer at Schenley High School and went on to an outstanding career at the University of Pittsburgh. At Pitt, he started every game his sophomore, junior, and senior seasons and was a co-captain of the 1956 Sugar Bowl Team. His efforts at Pitt gained him All-East Honors in 1954 and 1955, 3rd team All-American recognition in 1955, and the opportunity to play in the 1955 Senior Bowl and the East West Shrine Game. During his se­nior season he was named on nine All-Opponent Teams. After playing with the Pittsburgh Steelers, he began a 38 year career in the Pennsylvania Public Education System. In two seasons as a fullback at Bishop McCort High School, Pete gained 3,168 yards and scored 301 points earning him a spot on the Big 33, Ail-Penn­sylvania, and Scholastic All-American Teams. He went on to play defensive tackle at the University of Notre Dame where he was a member of the 1966 National Championship team garnering First-Team All-American Honors. That season, he was named Notre Dame’s Defensive Player of the Year, Pennsylvania’s College Lineman of the Year, and Most Valuable Defensive Player in the North South Game. Pete played nine seasons with the Denver Broncos of the AFL and was named an All-League Performer in 1968 and 1969. He was inducted into the Cambria County Hall of Fame in 1973. JACK FULLEN – Sports Personality. Jack is a graduate of Central Catholic High School and Slippery Rock University. He is completing his 40th year in education, of which the last 30 have been in athletic administration. 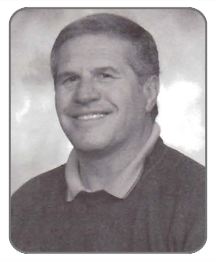 He was the Pennsylvania State Athletic Director of the Year in 1998 and NIKE A. D. of the year for Pennsylvania in 1999. 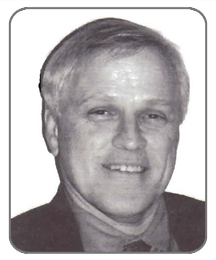 Additional honors that he has received for his contributions to interscholastic athletics are; the NIAAA Distinguished Service Award in 1992, the NIAAA State Award of merit in 1994, the National High school Federation Distinguished Service Award in 2002, and PSADA Citation Award in 2004. Jack was also the first recipient of the Major General Walter A. Churchill USMC Retired Award for dedication and loyalty to the United States Marine Corps Youth Fitness program in 2000. 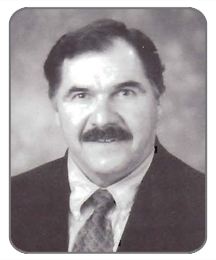 He was inducted into the Beaver County Sports Hall of Fame in1996 and the East Boros Sports Hall of Fame in 2000. Ron is a graduate of Schenley High School and the University of Pitts­burgh. 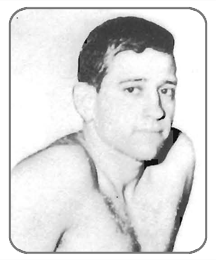 He was the PIAA State High School Backstroke Champion in 1946, which earned him a full scholarship to Pitt. He was a NCAA Division I All-American in the Butterfly, finishing as a finalist in the 100-yard Butterfly event each season. He led Pitt into the 1953 NCAA Championships at Ohio State. After graduation he turned to coaching as the Head Coach at WVU from 1956-1959 and at a Florida high school from 1959-1963, and then returned to work in the Pittsburgh Public School System. In 1994 he received a heart transplant at the age of 65 and his swimming took on life saving importance. Swimming for the United States Masters Swimming Team, Ron took fourth place at the World Championships in Munich, Germany in 2000. Jim was a three sports star and two-time AII-WPIAL football player at Etna High School. He took his football talent to Penn State where he was a three-year letterman at defensive end and linebacker. Jim was drafted in the third round of the NFL draft by the Detroit Lions and played for them for five seasons before being traded to the San Diego Chargers. He spent four seasons with the Charg­ers and concluded his playing time with one season with the Packers. 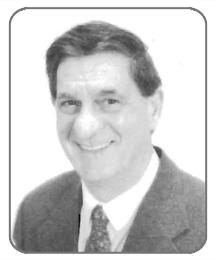 Upon retirement, he turned to sports broadcasting including: 14 years as Sports Direc­tor at NBC San Diego, 11 seasons as the Chargers radio analyst, and since 1998 host of Direct TV’s” Sports Week.” He was inducted into the Shaler Area Sports Hall of Fame in 2001. 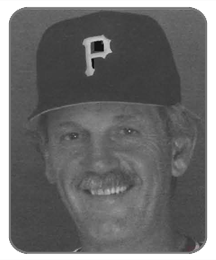 November 20, 1985 marked the beginning of a new era in Pirate baseball when the team appointed Jim Leyland as the 33’d manager in the club’s history. Jim managed the Bucs for 11 seasons while rejuvenating the city’s love for baseball by leading them to three straight division crowns. His 851 wins as a Pirate manager rank third in team history. He was named the National League Manager of the Year twice by the Baseball Writers Association as a member of the Pirates and ultimately went on to win a World Series with the Florida Marlins. Leyland’s final year of managing came in1999 when he guided the Colorado Rookies to a 72-90 record. He still maintains a Pittsburgh residence and attends a majority of the games at PNC Park, working as a scout for the S1. Louis Cardinals. 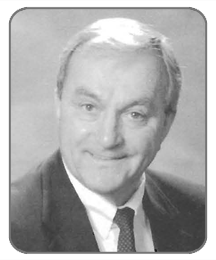 Jim began his coaching career in Ohio and moved to Pennsylvania and became one of Western Pennsylvania’s premier coaches. Upon graduating from Dover, Ohio High School and Wittenberg University, he was an assistant at East Liverpool (Ohio} High School and later a graduate assistant at West Virginia University. He took his first head coaching position at Carrollton (Ohio) High School before coming to Uniontown, PA in 1972. Jim moved to Upper Saint Clair in 1979 and the legend began. His record of 225-65-1 at USC includes: 15 Conference Championships, 4 WPIAL Championships in 9 WPIAL Final appear­ances, and one State Championship in three tries. His teams won 69 consecutive conference games from 1988-1998. He was named: the Associated Press AP Coach of the Year in 1989; a four-time Coach of the Year by the Pittsburgh Press, Post-Gazette, and Tribune Review; and a 12-time Quad A West Conference Coach of the Year. Now the Head Basketball Coach at North Carolina State University, Herb is a graduate of Carnegie Mellon University and Penn Hills High School where he was a standout in basketball. Following graduation, he was an assistant coach at Central Catholic High School, a graduate assistant and assistant at Providence College, and an assistant at the University of Kentucky; making Final Four appearances during his tenure at both schools. 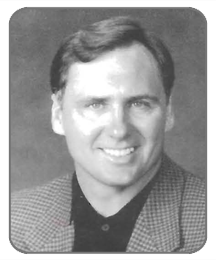 In 1993 he became the Head Coach at the University of Miami (Ohio) and was the MAC Conference Coach of the Year in 1995. He moved to NC State in 1996, where he already has the fourth most career wins in school history and is third among active coaches in the ACC, has the second highest ACC Tournament winning percentage among active coaches, and has been a finalist for the Naismith Coach of the Year Award. Sarah was a star at Fox Chapel High School where she was a top scorer, rebounder, and team leader, setting the Fox Chapel season scoring record. While in high school, she also played on the Pittsburgh Ozanam AAU teams that won two National Junior Olympic Championships in the early 1980’s. She moved on to the University of Pittsburgh where she was a three-year starter and team cap­tain her junior and senior seasons. The 6′ forward was the team’s leading rebounder for three seasons and led the team in scoring her senior season. Sarah finished her career as the Panther’s career leader in foul shooting per­centage, second in scoring, fifth in field goal percentage, and is still the school’s career leader in 3-point shot percentage. 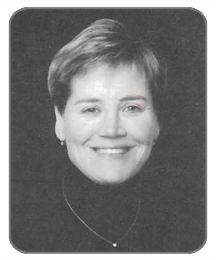 She was First-team AIl-WPIAL in 1984 and First-Team Academic All-Big-East Conference in 1988. Jim was an All-Conference Performer at Seton LaSalle High School and went on to earn All-American status at the University of Pittsburgh. He was drafted in the second round by the New York Jets (first center taken) and re­mained with the Jets for eleven seasons. After one year with the Seahawks, he closed out his career playing four seasons with the Pittsburgh Steelers. During his career, Jim was named to various All-NFL teams and was a Pro Bowl Alter­nate three times. During his playing days he once started 174 consecutive games and played in 218 consecutives games and was assessed only two holding calls (one of which was declined). 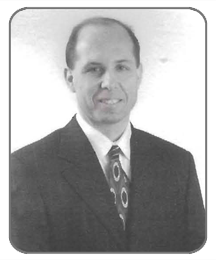 He has been an assistant coach at Duquesne University since 2000. Merle was born in Heidelberg, PA, the son of one of the founding members of the Heidelberg Soccer Association. It was never doubted that Merle would develop into one of the greatest soccer players to grace the fields of Western Pennsylvania and the World. In a career that spanned over 50 years he was a great player on teams that won championships at every level; the 1952 National Open Cup, the 1955 U.S. Amateur Cup Co-champion, the 1944 National Junior Cup, and others. Locally he led such teams as: The Heidelberg Tornadoes, Harmerville Soccer Club, and the Castle Shannon Soccer Club to championship seasons in 1949, ’50, ’52. ’54, and ’55. Following his playing career, Merle returned to lead many of these same teams to championships as their coach. In 1970, he was honored by the Pittsburgh Dapper Dan Club for his contributions to soccer. Please Note: The information on this page is, as it was posted in the program for the 2004 Annual Dinner.